"What type of eAuction is right for me?" The capabilities of eAuctions are far from foreign to the majority of procurement professionals, with tools such as Market Dojo saving users 16% on average, why are they still not being fully utilised by all? The complexities of some eSourcing tools with their excessive functionality can add to the pressure felt by procurement professionals to run smooth and efficient tenders. However, emails and spreadsheets are a prehistoric method that leave users one disastrous step away from extinction. So how do you know when to use eAuctions and which type should use? Well, apart from tuning in to our upcoming webinar “Is it time you questioned eAuctions?”, which is centred around the uses of eAuctions and how to use them, here is a brief guide and breakdown to the various types of eAuction and their benefits. Market Dojo’s upcoming webinar intro video on Biteable. In a reverse auction, sellers compete for a contract to supply goods or services and the price decreases over time, whereas in a forward auction buyers compete to purchase assets and the price increases over time. For example, you may wish to have half a million pounds of business cards printed out; in a reverse auction you would invite the printing companies to attend, giving them exact specifications of what you are looking to buy, for them to then compete against one another for your business. Unlike forward auctions however, it is not always the case that the winner is guaranteed the business. Often a reverse auction is carried out on “buyers choice” meaning that the buyer has the freedom to award any one of the suppliers the business, based on other factors, such as service levels, quality and so on. A forward auction is the process of selling something by negotiating the price you receive. With forward auctions you are less at risk with who to sell to, usually it comes down to “do they have the cash?”, and so “sellers choice” isn’t really necessary. Both forward and reverse auctions operate; Open, Ranked and Japanese functionalities, offering the host various opportunities to pit suppliers against one another. Open auctions allow the supplier to see the leading competitor’s bid total, and if the host decides, where they are ranked, meaning everybody involved in the event could be aware of how far off they are of the leading bid. An open playing field. A bid can only be submitted if it betters the current highest/lowest price, and so, the process works best when the host is comfortable attaching a value to their lots/project. Ranked auctions are used by hosts when they are expecting a number of suppliers to bid around the same price point. Ranked auctions, as the name suggests, assigns suppliers a rank based on where their bid compares to other live bids. For example the highest bid in a forward auction would rank as number 1, similarly to the lowest bid in a reverse auction. This ranking system can encourage competitive bidding between suppliers as only the supplier with the leading bid is aware of what the current best price is. It is worth considering that while auctions are ultimately run to obtain the best price for the host, weighting and ‘buyers choice’ can mean that even though a supplier has not ranked highest or offered the best price, other factors such as quality or RFx results can influence a host’s decision on the contract winner. So while it is important to obtain the best price it is of equal importance to communicate that a contract will not automatically be awarded to the highest/lowest bidder if this is the case. Finally, Japanese Auctions operate as an elimination process of sorts. Which unlike open and ranked auctions, that are led by suppliers’ bids, are driven by the host who releases an ever increasing/decreasing sum that needs to be matched by suppliers to remain as part of the process. The auction will begin with the host sending out an opening price to suppliers who can then decide to match the price and to remain in the running. The auction will continue in the same format with the host sending through updated prices for suppliers to match until there is a single bidder remaining. 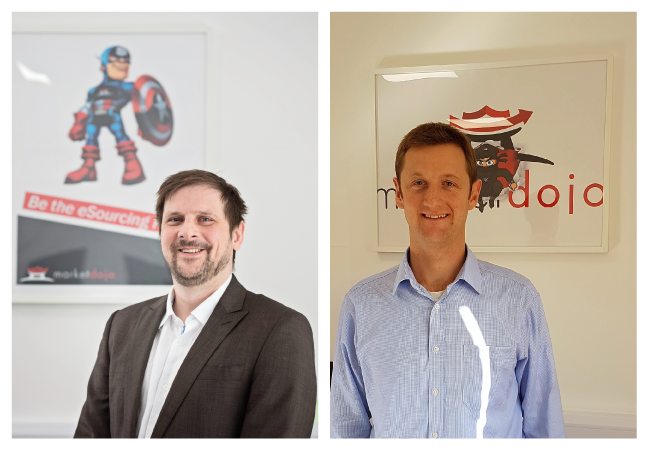 If you are still finding yourself questioning which eAuction is most applicable for you or are simply curious to learn more, then our upcoming webinar hosted by Market Dojo co-founders, Alun Rafique and Nick Drewe on Tuesday 30th April, 3pm BST, is the place to be. 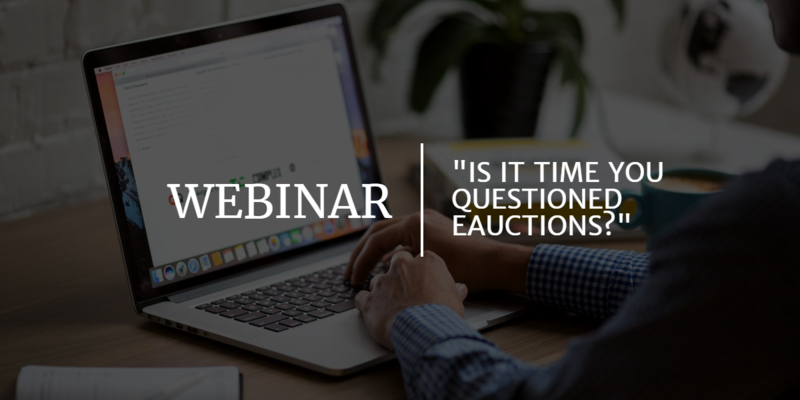 The webinar will be discussing the ins and outs of eAuctions, offering expert advice from those at the forefront of the industry, as well as live demonstrations on how to run events using Market Dojo’s software. The webinar is also aiming to be fully interactive including a Q&A and directly addressing attendees’ queries throughout. So if you have any questions that need answering, why not sign up to join in the discussion and submit your questions through our follow up form.